After a few months of silence, two cereal lines that are some of the most reliable when it comes to new varieties have brought out their latest offerings. 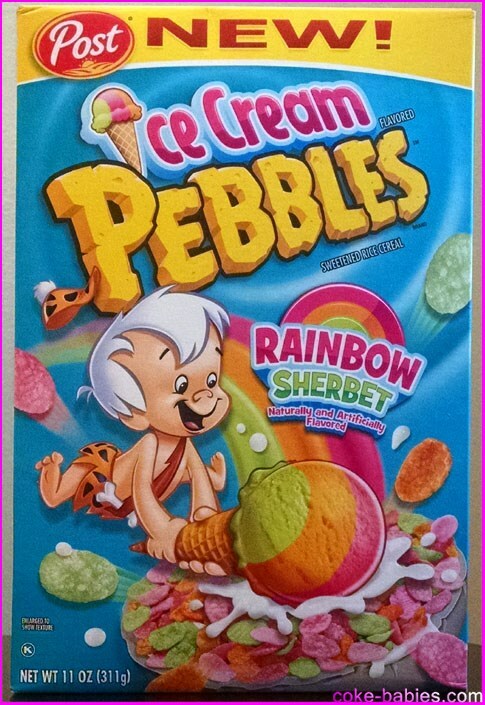 Ice Cream Pebbles seems like it should be pretty self-explanatory. 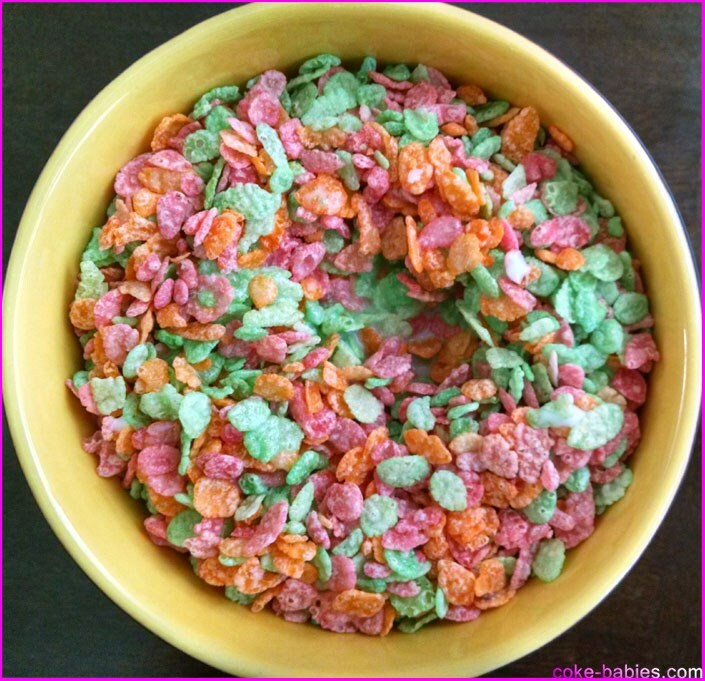 But instead of an actual ice cream-flavored cereal, it’s Rainbow Sherbet flavored. Which, you know, isn’t ice cream. Oh well, I’m not too bothered by that. At least they didn’t just repackage Cocoa Pebbles and call it Chocolate Ice Cream Pebbles. 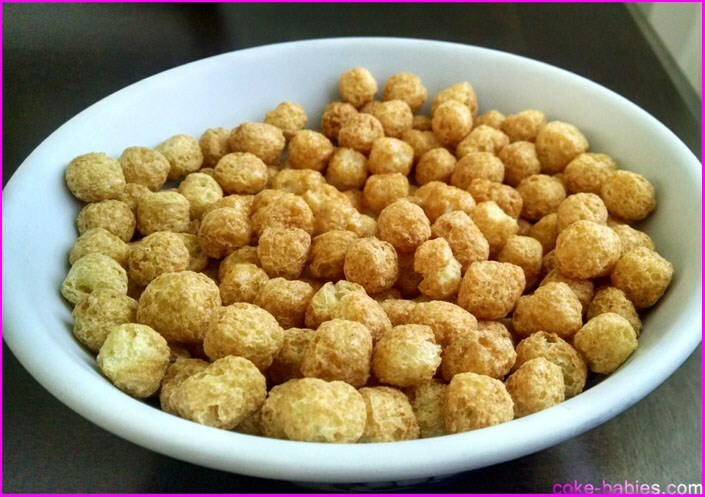 The cereal itself is very bright – half neon, half pastel. The colors are the same as rainbow sherbet, and the color hues and brightness match pretty well. I don’t know if each color is supposed to taste differently – probably not – but I mostly just got “sugar”. Overall, the flavor matches sherbet pretty well, but it mainly just seemed to taste like Fruity Pebbles but with something slightly wrong. It’s like the dialed back on the artificial fruit flavors, and ramped up the sweetness a little bit. Or it just tastes more sweet because you don’t get as much fruit flavor? I don’t know. It’s okay. I’ll finish the box, and it’s a decent enough one-off novelty, but that’s about it. Like Pebbles, the good Cap’n is fond of a steady output of new products. Many come and go, but the variety is always nice to see on the shelf. 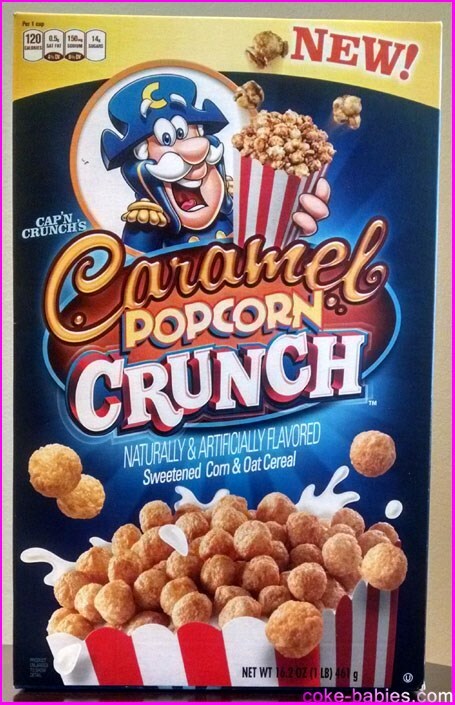 I wasn’t too excited for Caramel Popcorn Crunch, since I was expecting just an onslaught of caramel flavoring, and nothing else. Surprisingly, the cereal isn’t as completely one note as you might expect. To be sure, it is one note, just… less than expected. I don’t get much popcorn flavor, though I think I can get enough placebo effect popcorn-essence if I really try. There’s absolutely no hint of salt, but that was pretty much a guarantee. Not in one sitting, obviously – that would be ridiculous. I only do that with the really good cereals.